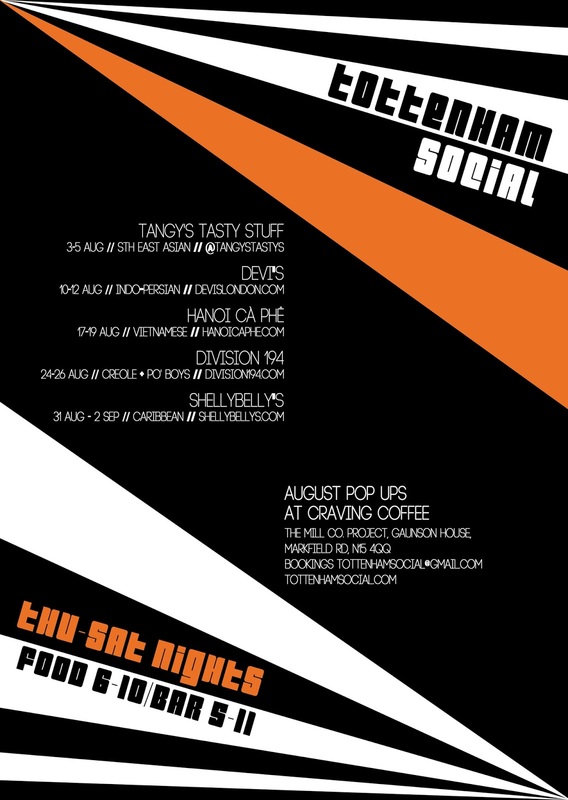 Craving Coffee, the cafe and bar in Tottenham, N15, is continuing with its excellent #TottenhamSocial nights, where food is served Thursdays to Saturdays, with five traders for August 2017. 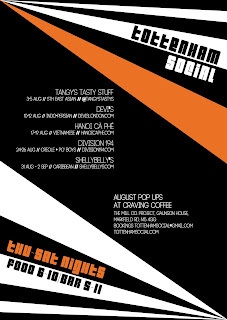 Lots to look forward to, including Tangy's Tasty Stuff (South East Asian) and the ever-popular Division 194 (Po'Boys and more). Plus it's the cafe's third birthday party on 1st September! 31st Aug - 2nd September - Shellybelly's - Caribbean"